Unipart Dorman works collaboratively with Piper Glass to produce innovative LED solutions in the rail and road sectors to overcome significant challenges in balancing safety, operational efficiency and cost to deliver world-class rail services. 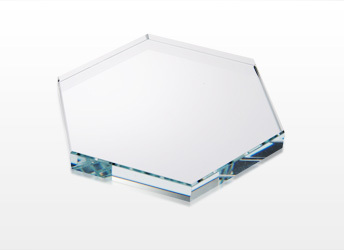 They are a brand known globally for quality and innovation which reflects the standard of Piper Glass products and service expertise behind them. 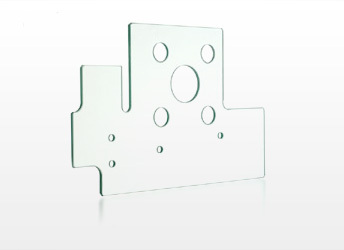 For projects involving complex shape work, we have the facility to waterjet all thicknesses of glass. We manufacture precision ground plates to customer specifications and drawings, as well as producing both prototypes and large production runs for out-of-the-ordinary projects. With a choice of edgework, stunning pieces of glass furniture from vases to tables can be produced. All glass can be backpainted in a variety of colours to suit customer requirements. Being so versatile it can also be used in the retail sector. 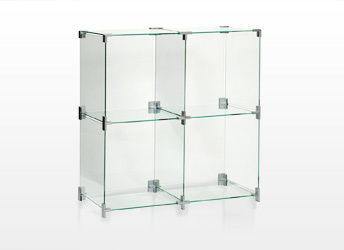 Our glass cube displays are a cost effective way of displaying goods in a contemporary manner. We are able to offer a conventional straight flat polished edge in thicknesses from 2MM - 19MM. We also have CNC Shaped polishing facilities and a 45Â° mitre service.